Scientists at UC San Francisco and at the San Francisco VA Health Care System have improved mobility in rats that had experienced debilitating strokes by using electrical stimulation to restore a distinctive pattern of brain cell activity associated with efficient movement. The researchers say they plan to use the new findings to help develop brain implants that might one day restore motor function in human stroke patients. After a stroke, roughly one-third of patients recover fully, one-third have significant lingering movement problems, and one-third remain virtually paralyzed, said senior author Karunesh Ganguly, M.D., Ph.D., associate professor of neurology and a member of the UCSF Weill Institute for Neurosciences. Even patients who experience partial recovery often continue to struggle with “goal-directed” movements of the arms and hands, such as reaching and manipulating objects, which can be crucial in the workplace and in daily living. Over the past 20 years, neuroscientists have presented evidence that coordinated patterns of neural activity known as oscillations are important for efficient brain function. More recently, low-frequency oscillations (LFOs) — which were first identified in studies of sleep — have been specifically found to help organize the firing of neurons in the brain’s primary motor cortex. The motor cortex controls voluntary movement, and LFOs chunking the cells’ activity together to ensure that goal-directed movements are smooth and efficient. In the new study, published in the June 18 issue of Nature Medicine, the researchers first measured neural activity in rats while the animals reached out to grab a small food pellet, a task designed to emulate human goal-directed movements. 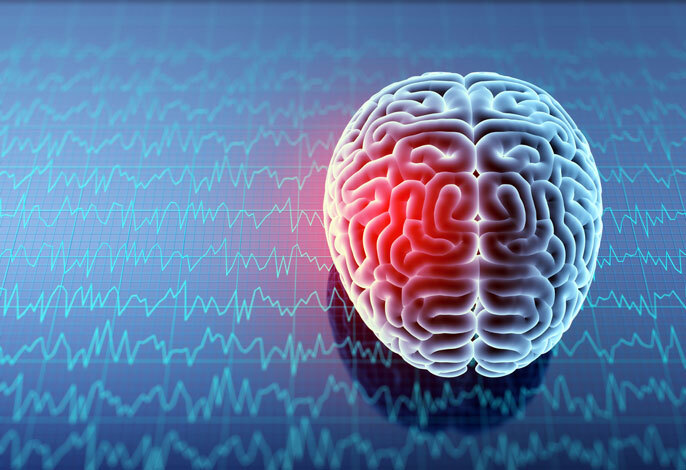 They detected LFOs immediately before and during the action, which inspired the researchers to investigate how these activity patterns might change after stroke and during recovery. “Interestingly, we observed this augmentation of LFOs only on the trials where stimulation was applied,” said Tanuj Gulati, Ph.D., a postdoctoral researcher in the Ganguly lab who is co-first author of the study, along with Dhakshin Ramanathan, M.D., Ph.D., now assistant professor of psychiatry at UC San Diego, and Ling Guo, a neuroscience graduate student at UCSF. Other UCSF contributors to the work included Gray Davidson; April Hishinuma; Seok-Joon Won, Ph.D., associate adjunct professor of neurology; Edward Chang, M.D., professor of neurosurgery and William K. Bowes Jr. Biomedical Investigator; and Raymond Swanson, M.D., professor of neurology. They were joined by Robert T. Knight, M.D., professor of psychology and neuroscience at UC Berkeley.